FMCG Business has a cumulative reach of more than 69,400+ to New Zealand’s key FMCG decision makers, purchasers and influencers every month! 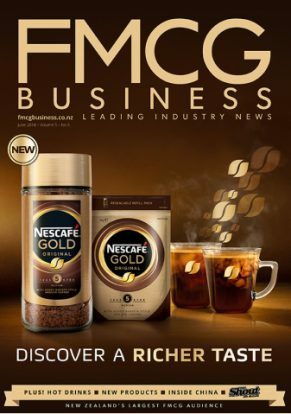 FMCG Business is a quality monthly magazine delivering a local and international perspective on the food, beverages, grocery, retail and associated industries. 11x per annum we feature key trends, market news, category insights, store design, research, transport and logistics, marketing, retailing, current and emerging legislation and the ever-popular ‘What’s hot’ highlighting the latest products each month. FMCG Business also has a dedicated online presence at www.fmcgbusiness.co.nz and supported by weekly e-newsletters to the wider food, grocery and beverage industry. FMCG Business leads the New Zealand food, convenience and grocery market with unmatched audience figures every month, no competitive magazine gets close! FMCG Business features market-leading editorial by industry experts and managed by Editor, Tamara Rubanowski. With extensive food and beverage experience including judging, Tamara has managed several well respected food and business publications in New Zealand over the past 15 years. Her team is supported by leading contributors and photographers across New Zealand, Australia and the world. The Shout features insights into the liquor industry each month along with inspiring and informative international content to provide New Zealand’s most comprehensive look into the liquor business. Brought to you by New Zealand’s fastest-growing b2b and consumer publishing/events organisation – The Intermedia Group.